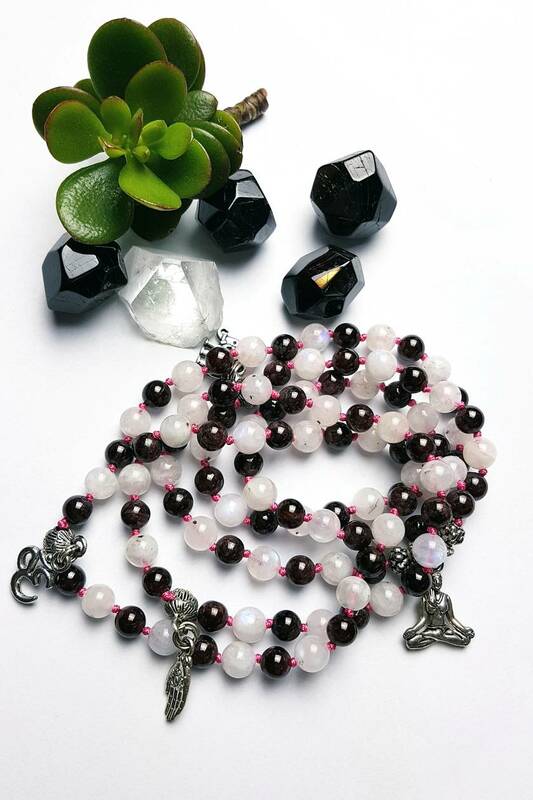 This 108 bead mala can be worn as a necklace or bracelet. These lovely 7- 8mm stones are hand knotted on durable hot pink nylon knotting thread (I do not use silk or natural fibres to knot my gemstones as the stones will cut through the thread in no time at all). Hand knotting protects the beads if the strand should break. Hand knotted strands feel luxurious and soft and fall and drape beautifully. 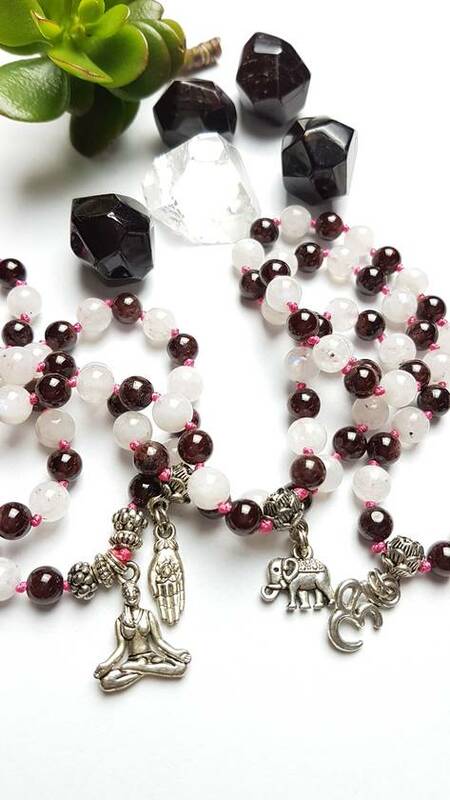 4 Yogic inspired charms set at every 27 beads finish off this beautiful mala with a lovely meditating yogi, an Om symbol, a hand holding a lotus and an elephant representing the hindu god Ganesh the remover of obstacles. 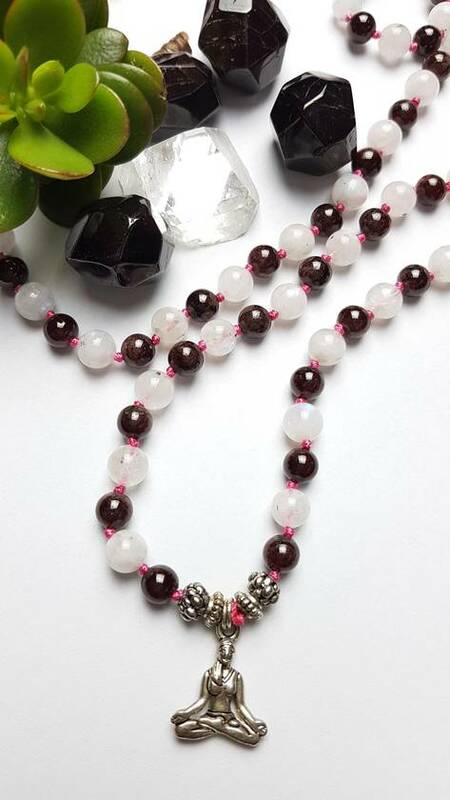 "Garnet is a stone of regeneration and energizing. Garnet can boost the energy of an entire system and revitalize it. It is said to be stabilizing in that it can bring order to chaos whether internal or external. Moonstone is a stone of protection, especially during childbirth, pregnancy, and travel at sea. It is a stone of calm and relief from emotional stress. It is also associated with love of all kinds."